Customization has long been a limiting factor in certain aspects of medical practice, particularly those centering around damaged or lost limbs creating different person-specific needs. 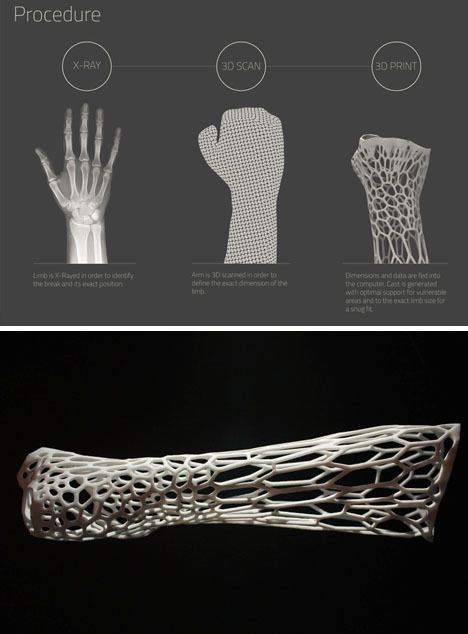 3D printing technologies, perfect for one-off, fit-to-purpose projects, may just promise ideal solution(s). 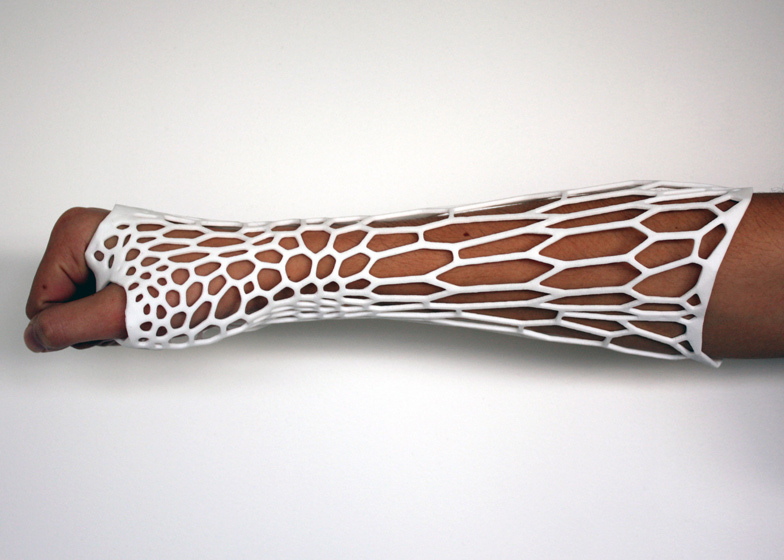 Jake Evill dubs his project, Cortex, an exoskeleton rather than a cast. First, an x-ray of the injured limb is performed. Next, a scan of the exterior of that same limb is made. 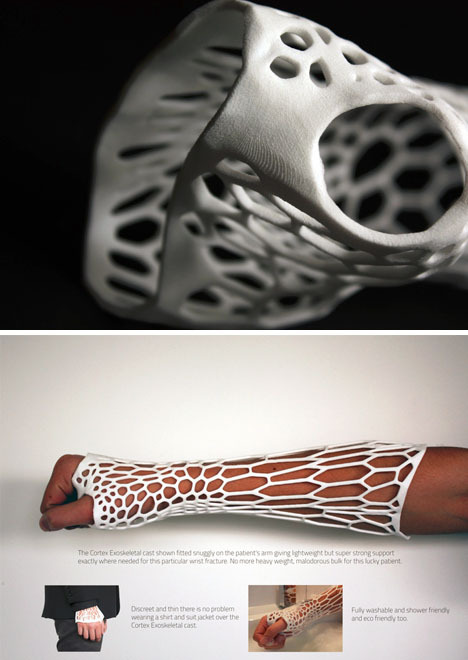 Finally, based on both of the above, a suitably stiff-but-flexible 3D print is made. 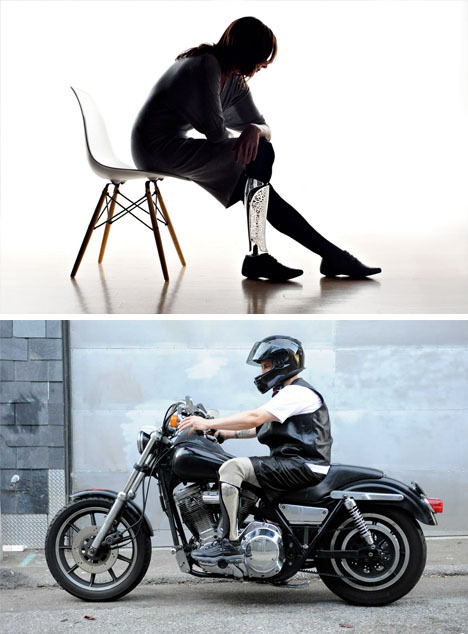 The result is customized to the needs of the user for both recovery and comfort. The resulting design addresses issues of aesthetics, but more importantly deals with waste, healing, safety, durability and other everyday needs. Unlike its cumbersome traditional counterparts, it is readily washable, comfortable and compact enough to fit under clothing that would otherwise require modification. 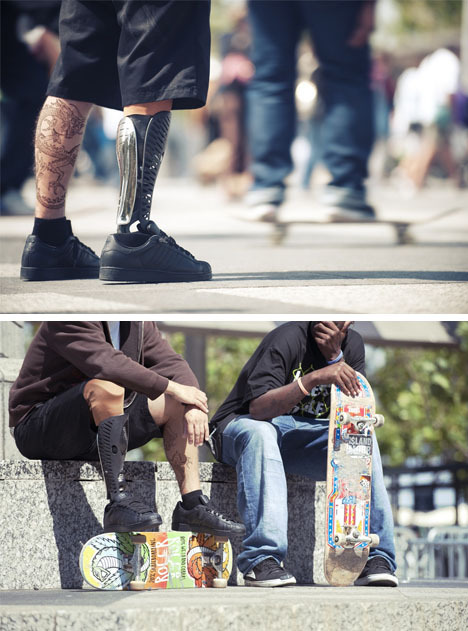 Bespoke Innovations, meanwhile, addresses the needs of those with artificial limbs through what they call Fairings. Their process likewise involves scanning the limb, but in this case of the non-organic variety, then creating a custom cover to fit the functional and stylistic needs and wants of the wearer.